Say goodbye to dreary days and long nights and say hello to the hottest hotel deals on the Internet when you book by January 31, 2013. 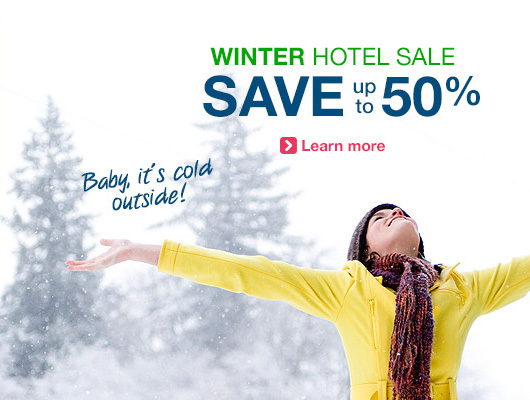 With savings of up to 50% on hotels across the country, we say let it snow, let it snow, let it snow. .